The outcomes of standardized testing have more implications for the students, teachers, and schools than ever before. Find testing accommodations that are fair for students with disabilities or language differences. Today's elementary and secondary students are undergoing more mandated assessments than any group in the history of education in the United States. In 2001, forty-nine states required statewide assessments in mathematics, as compared with forty-five in 1994 and thirty-four states in 1984 (CCSSO, 2002). The outcomes of these measures have more implications for the students, teachers, schools, and districts than ever before. Some high-stakes assessments are used to determine student placement, promotion, and graduation; teacher assignments and bonuses; and overall school ratings and benefits. Perhaps the most serious effect may be the "teaching to the test" syndrome that is occurring in many classrooms. Now with new opportunities for participation come the challenges. What testing accommodations are fair for students with disabilities or language differences that adhere to the same performance standards? Can a student who is working on standards one or two grade levels behind his peers be expected to take a grade-level test? How can districts apply standardized scores to students who have taken off-grade level tests? Are standard-ized tests the best measure of student understanding and skill? Should teachers and schools be penalized for differences in student performance that are disability or language related? The questions are endless, but the issues are found in every town's newspapers. For teachers responsible for preparing students with disabilities for mandated assessments, the most important considerations will be understanding the assessment requirements and determining needed accommodations. Assessment requirements include administration dates, formats, and conditions, in addition to the test content emphasis. Most state and district assessments are administered in the late spring and may take an entire week. If the mathematics portion is last or is scheduled later in the day, students may not do as well. Some tests allow and even encourage calculator use for portions of mathematics tests, but students should have been using the same calculators throughout the year if this is the case. For test content, teachers should ask to review test development materials and, if permitted, previous forms of tests. Test accommodations are changes in the way tests are administered or changes in the testing environment, not in the construct being measured. Modifications usually are not allowed on high-stakes tests because they change the construct being measured (National Center on Educational Outcomes, 2005). Formats for mathematics assessments vary considerably from state to state and may even differ from formats within the state's adopted textbooks. In recent years, more states have incorporated open-ended and performance items into their assessments in addition to multiple-choice items (CCSSO, 2002). In the 2003-2004 academic year, states gave a total of ten norm-referenced mathematics tests, sixty-six criterion-referenced tests, and five augmented norm-referenced tests that included mathematics subtests (some states admin-istering more than one statewide test each year or different tests for different grade levels). The NCLB Act requirements have caused criterion-referenced tests to be much more prevalent (CCSSO, 2005). For example, in 2001, Arizona students in grades 2 through 8 were given the Stanford Achievement Test (ninth edition), a norm-referenced test of multiple-choice items. Students in grades 3, 5, 8, and 10 were also given the Arizona Instrument to Measure Standards (AIMS), a criterion-referenced test with multiple-choice, short response, and extended response items. Now Arizona administers only the AIMS. Teachers should expose students to the question formats that will be required on these summative assessments throughout the school year when specific, corrective feedback can be provided. Different testing accommodations are permitted in different states. 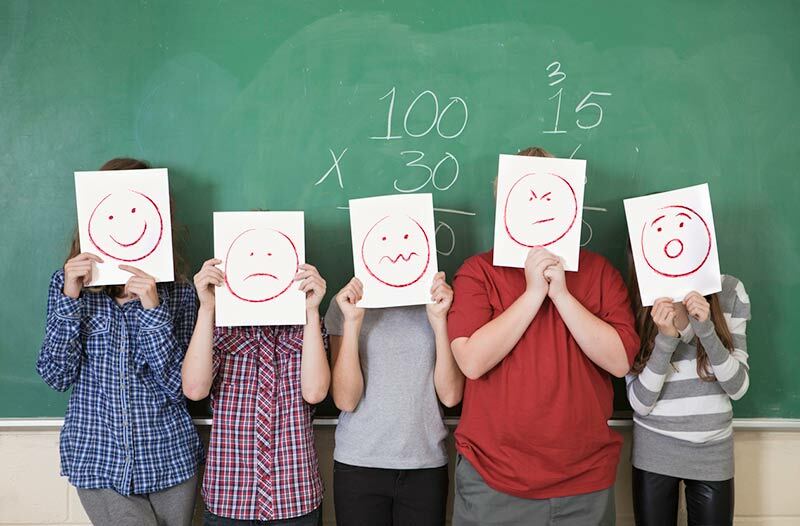 In addition to students with IEPs, accommodations are provided in many states for students with 504 plans (for students who are disabled, but do not qualify under IDEA), students with limited proficiency in English (ELL), and an emerging group of students with "emotional anxiety" about test taking. A few states make accommodations available for all students as needed (Thurlow, Lazarus, Thompson, & Robey, 2002). The most common accommodations for mathematics assessments are extended time, separate setting, and portions read aloud. Since these state-level assessments are now required for all students, state policies on accommodations have become more specific, but educators are not always trained in implementing them. It is important for the accommodations selected to actually match student needs, not be applied to all eligible students. Inappropriate accommodations may actually cause lower performance. And like the use of calculators, accommodations used on high-stakes tests should have been used for other assessments throughout the school year.